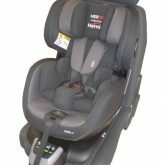 Our new Hero i-Size offers comfort and safety from birth up to 105cm height. 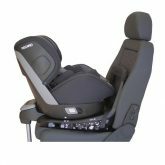 With 360-degree swivel access, the child seat can be switched from Rear facing to Forward facing – in a one-handed operation allowing you to get your child in and out of the car easily and without stressing the back. 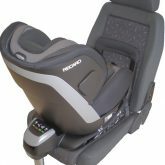 • Safe, rearward facing travel position up to 105cm. • Intuitive one-hand touch for all important functions. 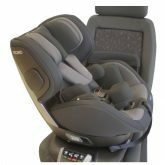 • Isofix connection for an fast and secure installation in the vehicle. • Space saving, foldable wings for maximum side impact protection. • Hero safety system prevents belts from slipping or twisting and makes buckling easy. • Flexible insert cushion for optimal, ergonomic fit. • Height adjustable head support with memory foam. 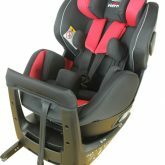 • Comfortable seating foams provide necessary comfort. • Seat recline position in both directions.